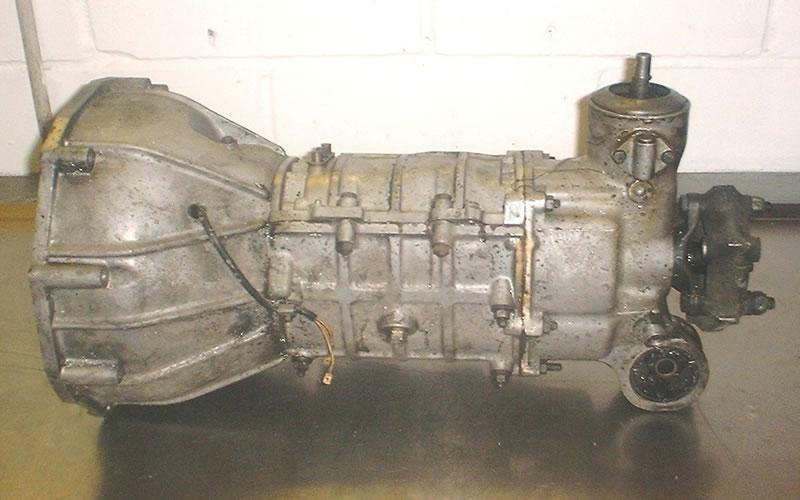 The 105 series Giulia has a really nice aluminium gearbox that is interesting to strip down; it is a constant mesh gear box and has baulk rings instead of syncros. 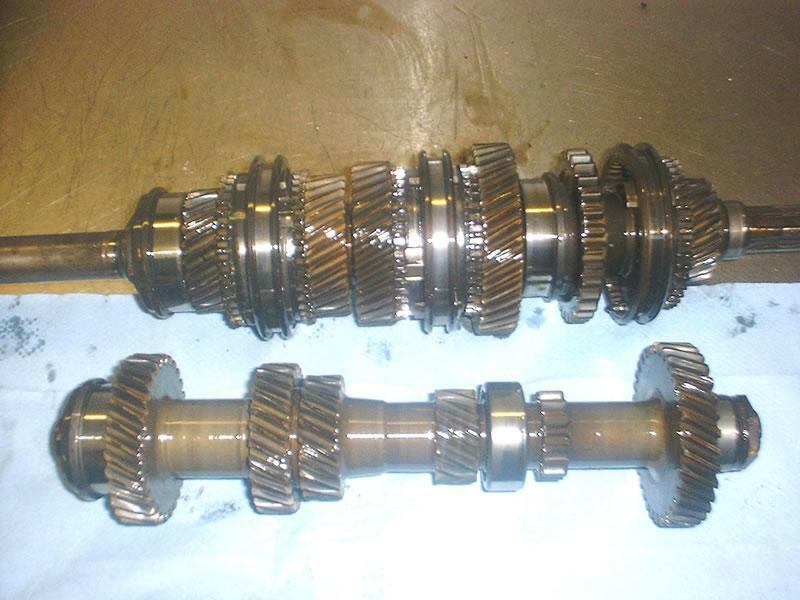 The most common cause of trouble with this gear box is crunchy second and third gears caused by worn baulk rings. 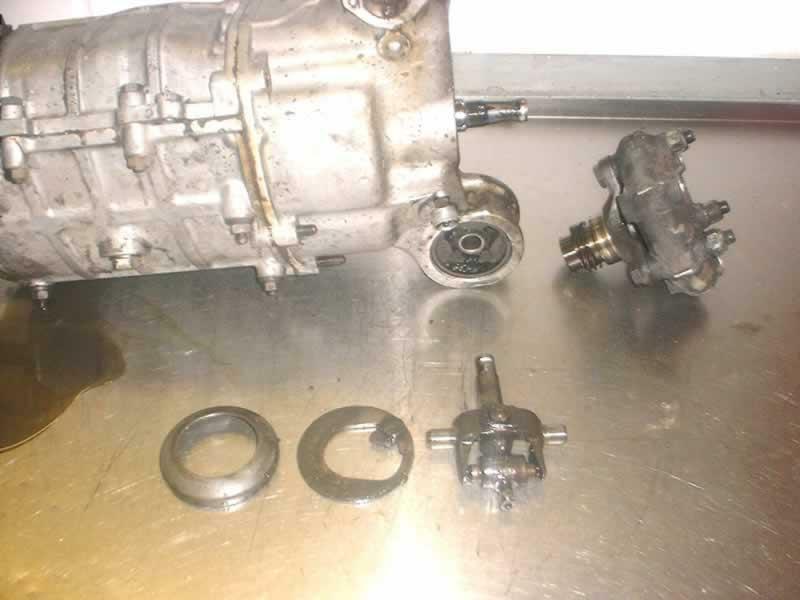 In order to replace the rings you need to remove the main and input shafts, this is a quick insight into how to do this. 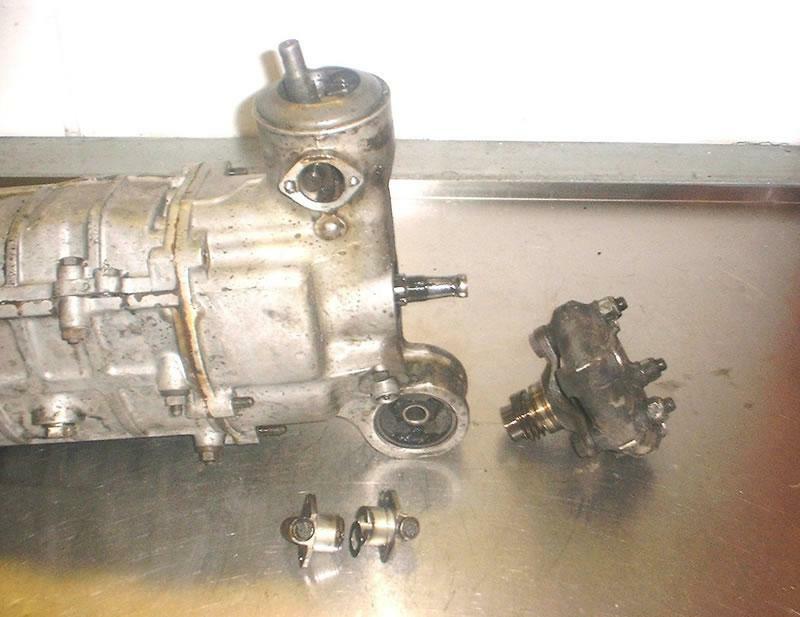 The first thing to do is put the gear box on a nice clean bench with plenty of room so you can lay things out in order, then it is best to remove the reverse light cable from the outside of the gearbox. The bell housing can then be removed by undoing the 17 mm nuts inside it. 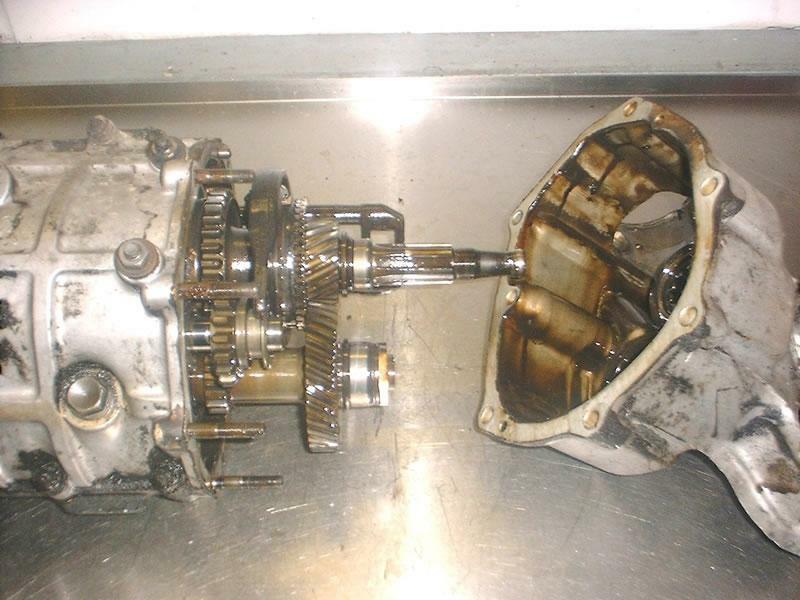 Once these have been removed, a sharp tap will unstick the bell housing from the body of the gearbox. 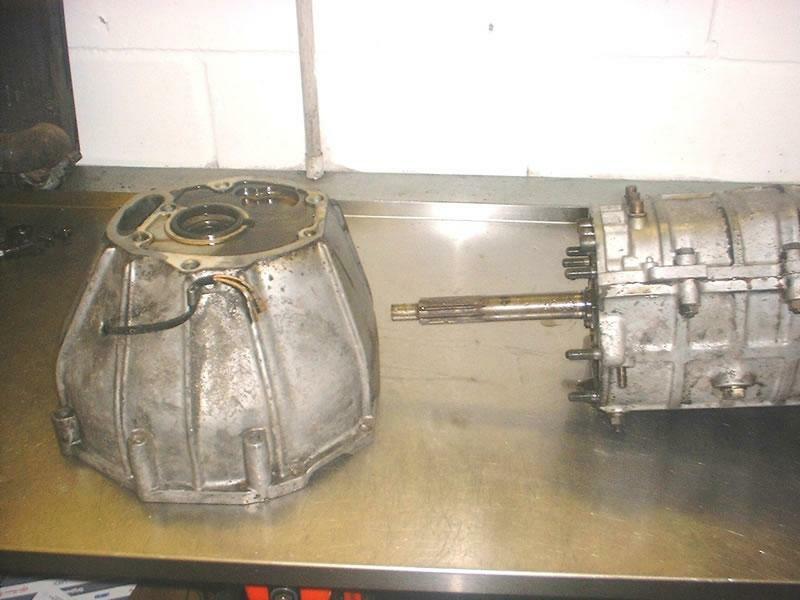 Next we turn our attention to the rear of the box and we remove the drive flange nut and then pull the flange off, the gear lever stub now needs to be removed.This is done by undoing the two breathers either side of it and then prizing the domed cover off. Under this you find a plate with the device that stops you going from 5th into reverse this also has to be removed. 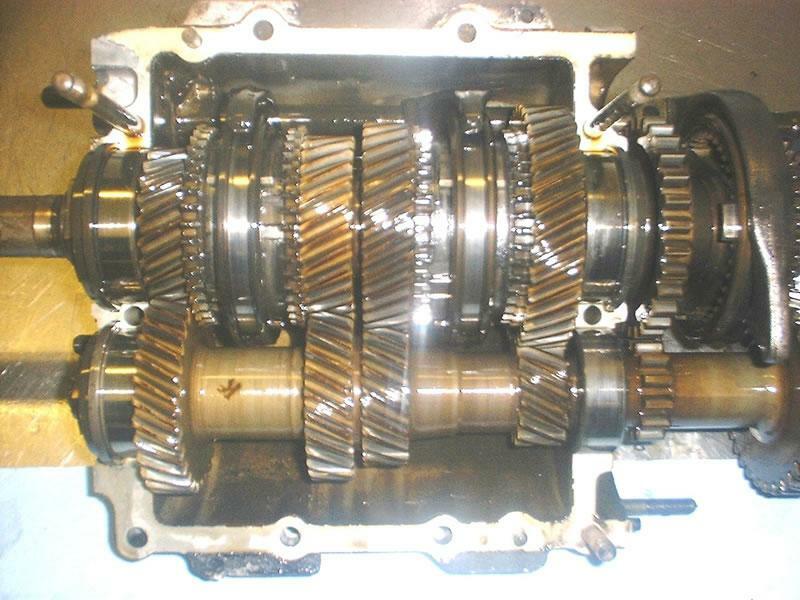 You are now free to undo the rear case of the gear box, this will also need a sharp tap to unstick it. Once this is removed you expose 5th and reverse gear 5th being the gear furthest to the back. ...next you have to strip the shafts down!